A 21-year-old man is charged with multiple counts of felony drug possession with intent to distribute and use of a firearm in drug trafficking, among other charges. Additional charges are pending. 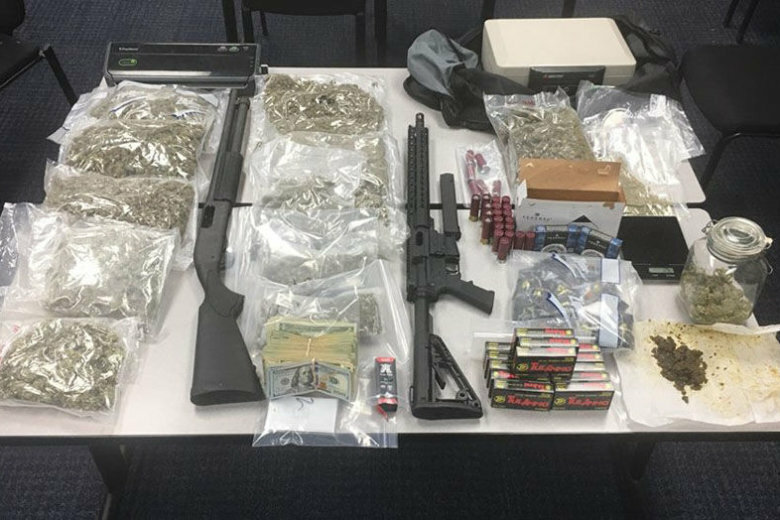 WASHINGTON — An Ellicott City, Maryland, man is being held without bond after police said they found marijuana, hallucinogenic mushrooms, THC oil and weapons in his possession. According to Howard County police, his residence was later searched, and authorities found 10 pounds of suspected marijuana and 75 grams of THC wax, as well as over 100 vaping cartridges filled with THC. Also found was a loaded shotgun, an assault rifle and thousands of dollars of cash, police said. Investigators were then led to a second address in Westminster, where detectives and Carroll County Drug Task Force authorities found 57 pounds of suspected marijuana, another loaded assault rifle, two more shotguns, suspected hallucinogenic mushrooms “and other evidence indicative of large-scale drug distribution,” they said. Vazquez was charged with multiple counts of felony drug possession with intent to distribute and use of a firearm in drug trafficking, among other charges. Additional charges are pending.